Morgan Stanley marked down its stake in Flipkart to $103.97 per share, 27 per cent below the price of its last fundraising round. 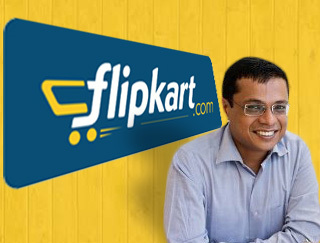 Last year, Morgan Stanley had valued Flipkart’s per share little over $142 per share. As per new price, the company is now valued at $11 billion. India's e-commerce has been growing at a fierce pace over the last couple of years, and leading the pack is the poster boy of online retail and early mover in the segment, Flipkart. With investors bullish on the 8-year old company, touted as India's largest e-commerce firm, Flipkart's valuation has surged over the years to nearly $15 billion. However, it took one decision of Morgan Stanley to make a noticable dent in the ballooning wealth of Flipkart and the overall market. The mark down does not come as a surprise for many investors and hedge funds, as there are growing concern regarding overvaluation of several "Unicorns" and start-ups. Several experts including the likes of ace investor Rakesh Jhunjhunwala and ex-Infy Board Member Mohandas Pai have raised speculation regarding the valuation of start-ups, saying that they don't have a sustainable business model. Jhunjhunwala, at a retail conference in Mumbai had opined that he will invest in Flipkart if its valuation is $100 million, while adding, "I will believe in it (the e-commerce model) when they (e-commerce firms) sell at an economical price." Kishore Biyani, owner of India's largest brick-and-mortar retailer Fortune Group, and a vocal critic of the online business model said, "The cost of doing business in an offline and online space is vastly different. The cost of doing business for Future Group is at 12-14% while for e-commerce companies, the cost of doing business is 53%"
Most of the companies in online sector offer deep discounts to consumers, thereby squeezing their profit margins. Although it leads to increase in consumer base and higher GMVs, the overall business model weakens, according to industry veterans. The current mark down by Morgan Stanley will not hamper the growth plans of Flipkart, as it prepares for its next round of investment, but will put the company slightly on the backfoot in convincing the investors of its credit worthiness. However, this decision by the Wall Street's giant is more reflective of the current market scenario, where investors are sceptical to put in their capital in unsustainable marketplace.